Henry (Hank) Carter graduated from Belmont in 2010 with a degree in computer science before moving on to attend Georgia Tech where he finished his masters in 2012 and his Ph.D in computer science in 2015. Carter began a faculty position at Villanova University this fall. Recently, Carter joined researchers from the University of Florida to develop CryptoDrop, an early-warning monitoring system designed to catch and stop ransomware before it encrypts the majority of a user’s files. Ransomware, a type of malicious software, renders files useless for a user until payment is made to the ransomware authors in exchange for a decryption key which reserves the encryption and recovers the original files. This technological epidemic has caused millions of dollars of loss annually and has been used to attack public services including police station records and hospital databases. CryptoDrop was created to combat the use of this software. Rather than examining programs for malicious characteristics like typical antivirus software, CryptoDrop monitors the user’s important documents and files and notifies the user if a program attempts to make sweeping changes. Since the mass encryption operations used by ransomware are not common in everyday computing, CyrptoDrop is able to accurately identify and stop ransomware programs that exhibit this unusual behavior. Carter’s team’s experimental evaluation showed that CryptoDrop was able to identify and stop 100 percent of the nearly 500 different ransomware variants tested. 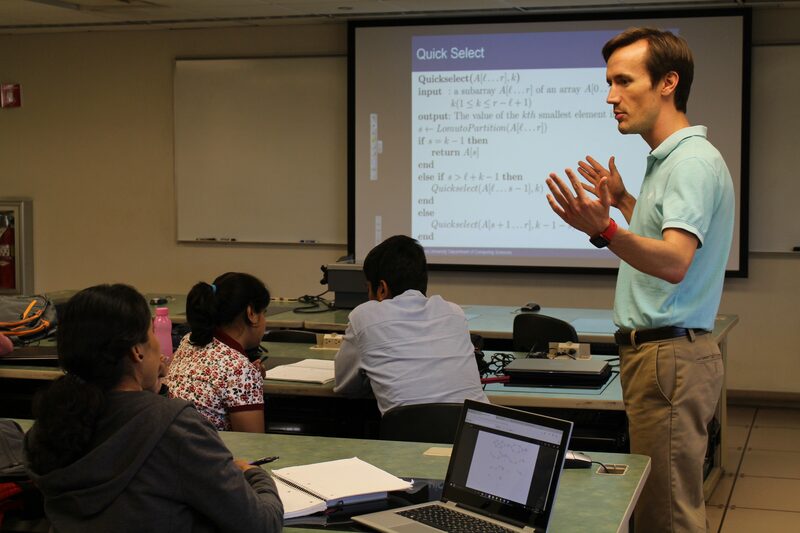 Since Carter and his team’s work was published this summer at the IEEE International Conference on Distributed Computing Systems, they have received coverage from many major news outlets including Forbes, BBC and Huffington Post, among others.